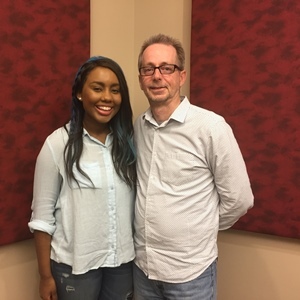 Jamie Grace is one of a small group of artists who actually listened to me on the radio before we ever met. She is also a member of the even smaller group of artists who listened before they were artists. I moved to the Atlanta area to join The JOY FM in 1998, when Jamie was seven. She grew up in the greater Atlanta area, Stone Mountain to be exact. And she and her family were regular listeners of the station. For a time, again before Jamie had a record deal, one of her young cousins lived with Jamie and her family. This cousin had two imaginary friends, Jerry and Sheila. It took the family a few weeks to figure out the inspiration for these imaginary friends, me and Sheila Richards, who co-hosted the morning show with me at the time. Since then I’ve had the pleasure of getting to know Jamie pretty well. We see each other from time to time, out at events or when she pops in for a visit at the studio. And we communicate through social media. 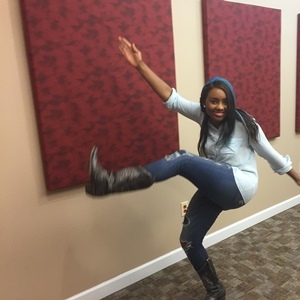 Last August Jamie left her record label, along with her singer/songwriter sister Morgan Harper Nichols, to continue her career as an independent artist. And the family has moved to the Los Angeles area because of health issues her mother is dealing with. Jamie has been working on her first album since leaving the record label. She recently released the first single, “The Happy Song,” from that album (which as of this writing does not have a name).